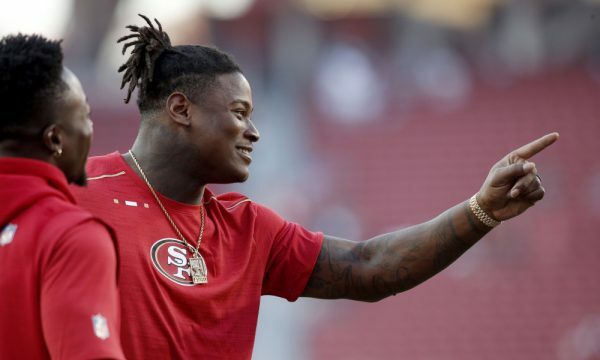 49ers star linebacker Reuben Foster was arrested Sunday on suspicion of domestic violence and possessing an assault rifle at a Los Gatos home, Robert Salonga of the San Jose Mercury News reports. Arrest and jail records show that Foster, 23, was booked at the Santa Clara County jail Sunday on the felony counts and released on $75,000 bail that evening. According to Los Gatos-Monte Sereno police and law-enforcement sources, officers were dispatched at 9:15 a.m. Sunday to a home on Shannon Road for reports of a domestic disturbance. 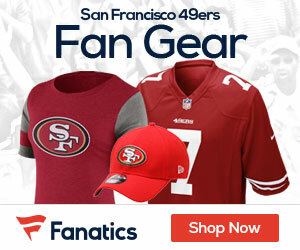 The reported victim, a woman with whom Foster has been in a long-term relationship, described to officers an assault that followed an argument that erupted between the two, sources said. In the course of the police response, officers located what appeared to be an assault rifle inside the home. The formal booking offenses were domestic violence, possessing an assault weapon, both felonies, and making criminal threats, a misdemeanor. The team released a statement in the wake of the news. “The San Francisco 49ers organization is aware of the report regarding Reuben Foster. We take matters of this nature seriously and are gathering all pertinent information,” the statement reads. Be the first to comment on "49ers LB Reuben Foster Arrested on Suspicion of Domestic Violence"